By Gerardo Gomez: After months of speculations, Richard Schaefer put the rumors to rest today as he resigned today from CEO of Golden Boy Promotions. For Boxing fans, this day was going to come sooner or later. Now that Schaefer is out of Golden Boy, a lot of questions will be in people’s minds. Who will be the new CEO of Golden Boy Promotions? What will happen to all the fighters sign by Al Haymon? Will they continue to be with promoted by Golden Boy? Will Oscar De La Hoya be in charge of promoting fights? What will happen to Mayweather’s last 3 fights? Will Schaefer start a new promotional company with Al Haymon? Or will Schaefer move over and build Mayweather Promotions? This last question may be a possibility. Mayweather Promotions does not have a boxing license and it has been used in the past couple of years as a way to promote Mayweather. If it was a legitimate promotional company then Mayweather would not be using Golden Boy to fight his last couple of fights. Everyone knows that Floyd Mayweather and Richard Schaefer have a very respectful and great professional relationship and that Mayweather cannot stand De La Hoya. He has repeated stated that the only reason he continues to do work with Golden Boy is because of Richard Schaefer. Having said that, I would not be surprised if Richard Schaefer moves over to Mayweather Promotions and makes it a legitimate promotional company. Not only that but Schaefer and Al Haymon can move their fighters from Golden Boy to Mayweather Promotions. That would be a huge “golpe de estado” (coup d etat) to Golden Boy Promotions. If Schaefer moves over to Mayweather Promotions or starts his own promotional company their are chances that he can take with him all the fighters that are sign with Al Haymon. 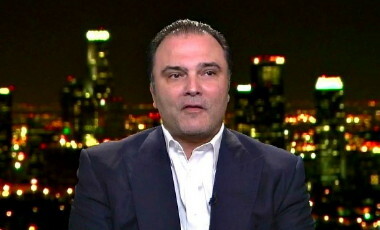 The loss of Richard Schaefer can be a financial hit for Golden Boy Promotions. Mayweather has yet to announce his opponent for September 13. If Mayweather refuses to work with Golden Boy in his upcoming fight, GBP, will be suffering a huge economic knock out. Many boxing fans feel that now that Schaefer is out of the picture and De La Hoya’s willingness to work with Bob Arum and Top Rank that some of the fights that have been on hold during boxing’s cold war could surface. Maybe Mayweather vs Pacquiao finally happens. Maybe Pacquiao finally fights a fighter outside of the Top Rank stable. Maybe we see Matthysse vs Rios, Garcia vs Provodnikov, Pacquiao vs Broner, Pacquiao vs Maidana, Mikey Garcia vs Abner Mares or Garcia vs Santa Cruz. The fights that could be made are endless. For now, the interesting move will be the one that Richard Schaefer makes. Will he continue to stay in the Boxing world? If so, what capacity will he take? Will he open his own Promotional Company with Al Haymon? Or will he help Mayweather and turn Mayweather Promotions into a power house like he did with Golden Boy? The Boxing World Awaits.